Hvar island “hosts” one of the oldest traces of life on the Mediterranean. They have been found in Grapceva cave which is located in the inland of the Hvar island on a somewhat arduous terrain. Upon cave excavations, a fragments of a vase were found. It was decorated with the oldest preserved carving of a ship in Europe, and one of the other artifacts had a carving which represents one of the best preserved land registries in the world. Some of the found artifacts are considered to date back to Neolithic times. Ancient times are always accompanied by legends and this location is no exception – the story goes that on this very place Ulysses fought Cyclops. 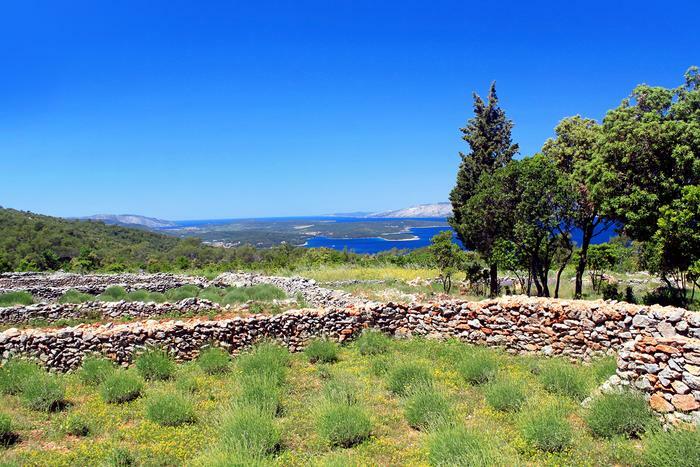 If the Neolithic remains or the ancient myths are not enough to attract visitors, a trip to the inland of Hvar and stunning view of the southern slopes where grapes for excellent Hvar wines is being grown should do the trick.